The young professor first attended Samford University, a conservative Christian school, and then Vanderbilt University for graduate studies. He became an activist early in his college career by creating a gay-straight alliance at Samford. 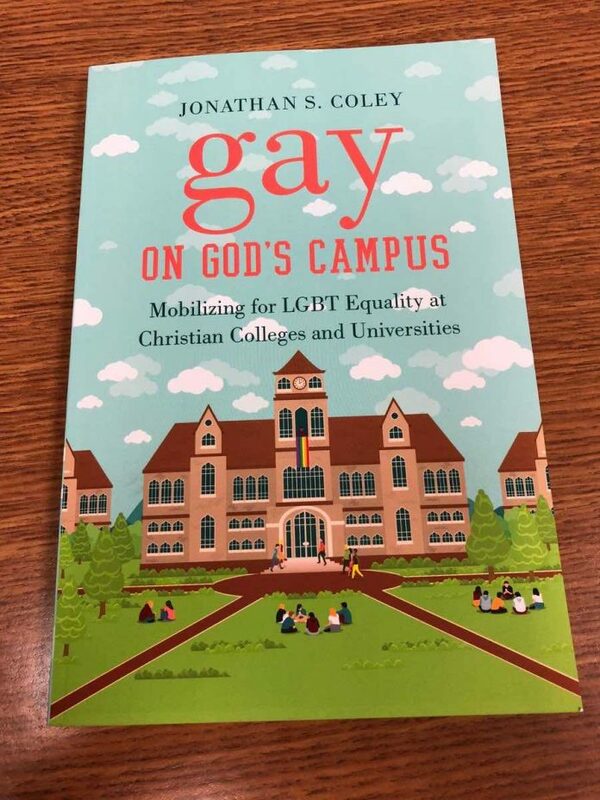 Now the academic has published ‘Gay on God’s Campus: Mobilizing for LGBT Equality at Christian Colleges and Universities’, a book that delves into the trends that explain why and how student activists mobilize for LGBT rights. Coley has created yet another activist handbook that outlines the tactics he believes will be most successful in requiring LGBT inclusion at Christian schools. In an interview with Inside Higher Ed, Coley speaks on where he thinks these trends are leading us. “I think it is only a matter of time before the Council for Christian Colleges & Universities experiences a significant fracture over LGBT issues” Coley concludes. The cultural warfare is on, and sociologists like Coley are researching the best avenues for success in advancing their movement, and while they research, they take up faculty positions and use them to push their ideology on students. Coley is teaching his students curriculum that is directly related to the subject matter in his book, essentially raising up young activists by teaching them the avenues to take that would require Christian Universities to change their policies. The syllabi for the courses he teaches are openly posted on his website, and the subject matter is concerning. After the book review, the author of the book Benjamin Zeller speaks to the class as a guest speaker. If the class is concerned about Christianity, then why spend most of it discussing a cult? What parallels is Coley attempting to draw? The activist then teaches religion, inequality, and social activism providing an evangelical protestant book “Straight to Jesus: Sexual and Christian Conversions in the Ex-Gay Movement” as a case study. This is the type of curriculum taught in universities that claim to be preparing students for the real world when in reality they are socially engineering them to be liberal activists advancing various social movements.